Dystopias are not all of the same stripe, or, in this case, color. Jasper Fforde’s Shades of Grey is perhaps the most colorful look at a bleak future I have ever read. The premise, funny and strangely serious, is that in the distant future color perception ability determines social rank. A cast of odd characters who see predominantly only one color vie for superiority while keeping to the rules of the founder of this society. The hilarious results often carry profound consequences. Those who live within this highly stratified culture fear those who do not, including a mysterious group known as the monochrome fundamentalists. 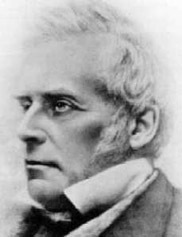 The founder of the social order, Munsell, has achieved god-like status and his writings have the force of scripture. This dystopia reflects, whether intentional or not, the social impact of many religions. Reading about the prefects, the political leaders of this culture, is like reading about the clergy who mistake spiritual guidance for power. The transition from pastor to politician is simple enough among social creatures like ourselves: we need those with persuasive powers to make decisions in accord with our best interests. Prefects and priests, however, are both eminently corruptible (let us say nothing of politicians) and evolution favors those who look out for themselves. The trick is to make others buy it. Fforde’s dismal future includes Leapbacks where useful technology from the past is discarded in order to make people more compliant. In a world where color is a rare commodity, a modern usage of the rainbow seems apropos. Everything we are learning from psychology and biology—sciences still in their youth—suggests that sexual orientation is deeply ingrained, more so that just preferences or likes. The mainstream religions, however, have actively discriminated against those who are aware of their deepest needs. I know many excellent, caring individuals who’ve been kept from the ministry because of their orientation. Others who are clearly deleterious to the church climb to positions of power based on their approved sexual appetites. And society falls into lockstep with them. 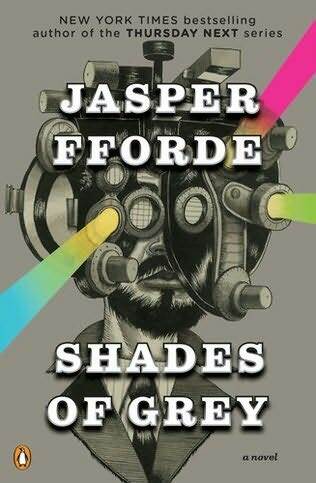 I don’t know Jasper Fforde’s political views, but along with him I would suggest that the ability to see shades of gray might be the best thing for any society, whether in the distant future, or especially, in the present. Last year a gray whale was spotted off the coast of Herzliya in Israel. As in the days of Jonah. Actually, we need to turn the clock back a little further. 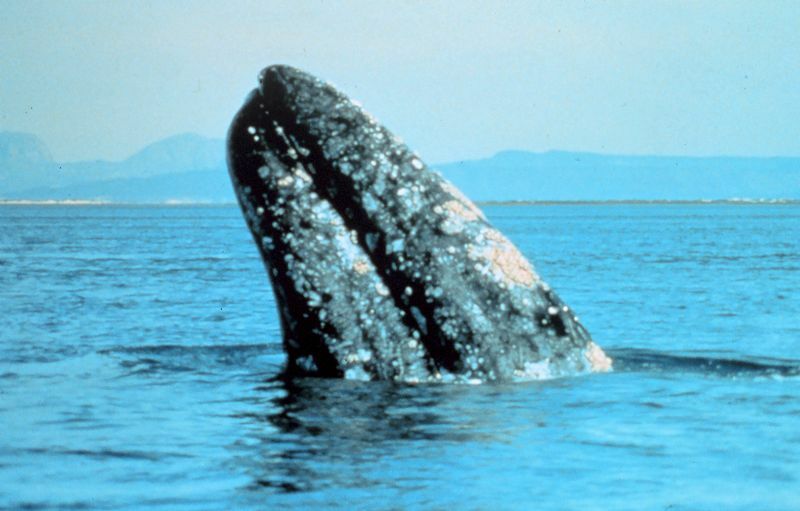 According to Arthur Max of the Associated Press, the gray whale was hunted to extinction in the Atlantic already in the eighteenth century. This whale, therefore, had to travel north of Canada from the Pacific Ocean through channels that are normally frozen. Global warming has opened these passageways and plankton last seen in the north Atlantic 800,000 years ago have begun to reappear. If Jonah was smart, he’d have stayed in that whale and would’ve just kept going. Each year in my Prophets class I have students that are far more concerned that a literal Jonah was swallowed by a literal whale rather than hearing the message Jonah proclaimed: repent or face destruction. If we turn the thermostat up a few degrees more each year maybe Jesus will finally jump on that white stallion and split the Mount of Olives. You can’t quite see the Mediterranean from there, but if you could you might spot a lonely gray whale. You don’t need to look for the little man inside. That whale is the sign of Jonah. Wave to Jonah for me! According to the Associated Press yesterday, Yenitza Colichon was sentenced to 18 months’ probation for child neglect and cruelty. The charges stemmed from a 2007 religious ceremony in which her seven-year-old daughter was made to watch a chicken sacrifice in New Jersey, and the girl was fed the animal’s heart. The practice is part of the Palo Mayombe religion of central Africa. This whole incident highlights the vital question of when religion crosses the line into child neglect. Many of us bear scars—some psychological, some physical—from our religious upbringings. It has been concluded by psychologists that children do not possess the level of abstraction necessary to deal with religious concepts until they are about the age of twelve. Parents, often fearful of eternal consequences should their children depart the one, true faith (whatever that is), begin religious instruction early, often passing their children off to others who are in no real sense an expert in the religion itself. The United States embraces, on paper, the concept of freedom of religion. Rightly, it seems, the strong arm of the state will step in when a child is endangered or neglected. The unanswered question is at what point does this neglect or endangerment occur? Authorities turn a blind eye if the faith is time-honored, and, especially, if it is of European/American extraction. Typically of the monotheistic variety. What is standard practice for other religions, as this case demonstrates, may be called into question. Sacrifice is also at the heart of the Judeo-Christian tradition. Sublimated into different forms for both political and theological reasons, those of us in that tradition have abstracted sacrifice to bloodless words on a page. When we see red, child neglect and cruelty are cited. Religions frequently make extreme claims over the lives of their adherents. Most religions relax such claims for children, but others continue ancient practice that is tacitly condoned. Sometimes those permissible rites cause real physical pain and scars. If under the hand of a moyel, okay; if scarification in African tradition, not okay. Religions denigrating personal achievements of the young, setting them onto a path of failure, okay; religions ritually killing animals, as even the Bible demands, not okay. Without making any judgment on specific religious outlooks, the reality of lingering effects remains. Are the terrors of Christian nightmares inspired by tales of Hell any less cruel than watching a domesticated animal die? Is eating a chicken heart any less unusual that fish on Fridays? Is being unfamiliar with a religion grounds for dismissing its authenticity or claim for equality? Some of us find animal sacrifice distasteful, but if we proclaim a tidy sacrifice each Sunday, and share it with our children, that particular rite/right is protected by law. 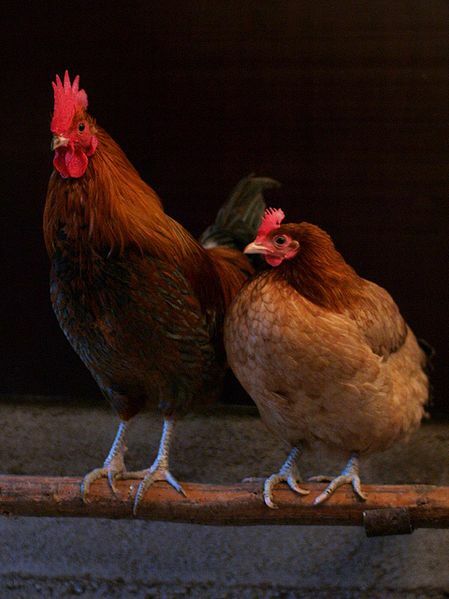 What would (wiki-commons) chickens do? 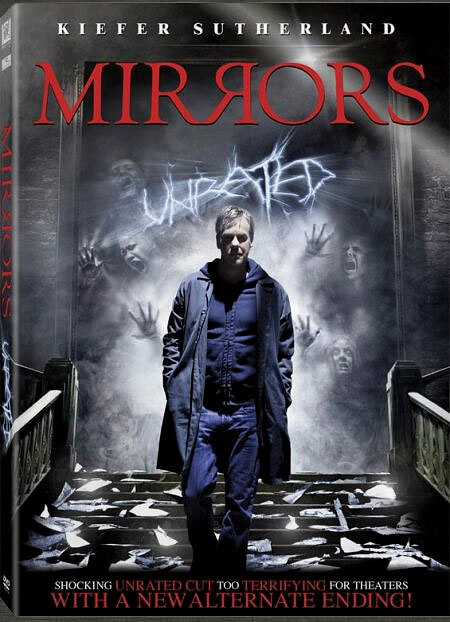 In a stunning display of alacrity, over the weekend I viewed the movie Mirrors only three years after it was released. Since I watch horror films with a view to how they portray religion, I was preparing myself for disappointment when well over halfway through no overt, or even subtle references seemed to have been made to any holy topic. As Ben Carson, security guard, discovers that the mirrors of his night-watch building are haunted, the story seemed to be evolving into the standard ghost movie. When the missing character of Anna Esseker was finally found, I breathed a sigh of relief—she was living in a convent (because there were no mirrors there). What I supposed was a ghost movie was really a demon movie, and I found yet another example of how fear and religion interact. Since I’m currently preparing a program for a local church on the way that Christianity is represented in the movies, I’ve been rewatching a couple of standard films to gauge the scope of this interaction. 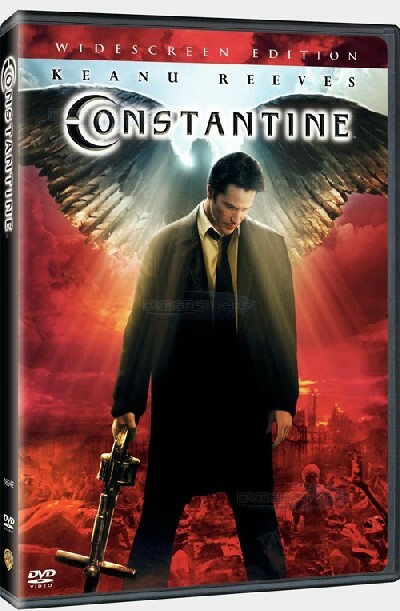 So this weekend I also watched Constantine. This has never been one of my favorite movies, but as imbued as it is with Christian mythology it cannot really be ignored. When Gabriel is explaining to Constantine why he is bringing the devil’s son into the world, I realized that the reason coincided with some of my observations. Gabriel notes that humans need fear to appreciate God. By bringing fear into the world, Gabriel will force humans to become more pious. Intertextuality in the movies. If I might indulge in some theological (that word makes me shudder) speculation that may not have been intended by the writers/producers, both of these movies utilize the concept that demons are trapped by mirrors. This may be a reflection truer than ever intended—we are our own demons. Mirrors reflect the vanity of visual appeal; our looks fade and our true self remains. Is that self an angel or a demon? Christian tradition states they are one and the same. Demons are only fallen angels. I’ve seen enough horror films to know that religion is not a universal element, but it often does appear in the role of producer of both good and evil. In this sense, at least, the movies are very honest. One of my readers sent me an article about the Church of Sweden. According to this article only about 15 percent of the members of this national church “believe in Jesus.” The question raised by this statistic is a vital one in a world where politics and religion become inextricably intertwined: what is Christianity and who decides? As the recent vote in New York permitting gay marriage (about time!) shows, many who identify themselves as Christians in America equate that religious outlook with conservative political views (even on issues the Bible says little about). It is what the believer says they “believe” that defines the religion. Ancient religions, as I have noted before, show that this outlook on devotional practice is not the only alternative. Religions began as a matter of praxis—what people did rather than what they believed. What does an almighty deity gain from theological assent in the heads of believers? Is it a warm, fuzzy feeling or something more? Belief, a very strong motivating factor in humanity, is a psychological phenomenon, not a spiritual one. Many religious groups today are reluctant to accept that psychology covers the territory formerly covered by spirituality. Both phenomena (or the phenomenon) occur in the brain. If a brain does not assent to the typical belief structure, is it thereby deported from the gathering of a religious body? Many times in religious history that has been the case, but what do we say to the Church of Sweden? Kick out 85 percent of your members? I can see many unhappy, unemployed clergy in such a future. What does it mean to be Christian? Is it to deny civil rights to anyone who differs in outlook or lifestyle from you? Is it sleepily to say “yea” when you wake up after a sermon? Or is it following the teachings of Jesus? The same one who once taught his followers to love those who differed from them, to turn the other cheek instead of proactively pulling out their handguns? It seems that in the modern furor to laid hold of claims of absolute righteousness humanity has somewhere fallen between the cracks. I’ve never been assaulted by a Swede, and I don’t recall, in recent years, Sweden invading other countries to further its economic fortunes. Could it be that, to paraphrase a religious thinker of antiquity, a Swede shall lead them? In the light of last month’s failed rapture attempt, I decided to read a book that I picked up some years ago that had been written in the wake of the millennial scare. Having grown up with nightmares of the rapture, I learned during my first college class on the book of Revelation that it was relatively modern meme, invented in the nineteenth century. Barbara Rossing’s The Rapture Exposed seemed a good way to refresh my memory without having to go through all those boxes of books in the attic to find my original textbooks. Rossing, a Lutheran minister and New Testament professor, brings to light some very important facts beyond the historical roots of this theological fabrication—facts that should concern religious and secular alike. The rapture was invented by John Nelson Darby, a founder of the Plymouth Brethren and convoluted biblical scholar. Basing his roadmap of the future singularly on Daniel 9, he concocted the rapture to make sense of his apocalyptic epiphany. Drawing diverse sections of Paul’s letters to the Thessalonians, the Gospel of Matthew, and the book of Revelation together, he mixed thoroughly, half-baked it, and pulled the rapture out of the oven. The idea caught like wildfire. Today young people who’ve never read the Bible and who’ve seldom attended religious services know what the rapture is. What they do not realize is that nearly all of the Christian tradition rejects it, seeing it for what it is—a Johnny-come-lately of amateur theology that sees the Bible through the lenses of dilettante-sensibilities like those of Michael Drosnin (The Bible Code man). Instead of seriously reading the Bible and trying to understand it, society prefers to see it as a little bit of magic in the midst of our scientific and technical world view. It is a safe place where bits of the supernatural are preserved and that defies rational explanation. Rossing’s book does a good job of exposing the wrong-headedness of LaHaye’s Left Behind conclave, but she overlooks an important feature of this coterie: they have an unconfessed agenda. The unspoken agenda is best summed up by Lt. Frank Drebin of Police Squad when he says, “blowing away a fleeing suspect with my 44 magnum used to mean everything to me. I enjoyed it, well who wouldn’t?” Rossing misunderstands Fundamentalism when she expresses surprise at the bloodlust present in the Left Behind novels. What she doesn’t take into account is that, as a collective, Fundamentalists thrive on self-righteousness. Feeling the same violent urges that others do—all humans experience violent emotions—they sublimate that aggression and save it for the unrighteous—God’s enemies. When the gloves come off in the apocalypse, that hatred bursts out in good, old-fashioned bloodletting—albeit with combat helicopters and high-tech weaponry. Of the Christians I know who own guns, the Fundamentalists are most avid in their rights to do so. In college I met my first Christian survivalists and I learned that the rapture was a ruse. It is a deadly mix, especially when this warped theology makes it into politics. 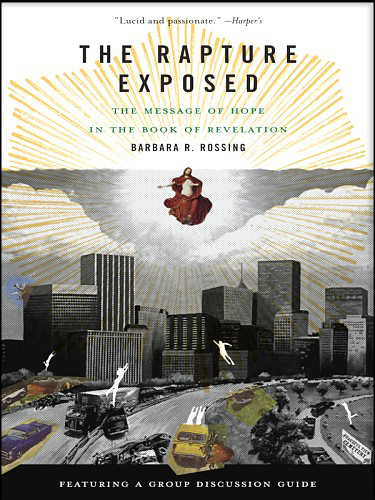 Although Rossing’s vision of a new earth in the second half of her book may not appeal to everyone, Americans should read at least the first few chapters to learn why the rapture will never occur. Serendipity, although rare, still occurs in university life. As an adjunct instructor whose livelihood revolves around the number of courses that may be squeezed into a limited number of days, I have been considering online courses. As an avid watcher of horror movies—excellent preparation for adjunct life these days—I have attempted to sample the genre widely. It is therapeutic to see people in fictional situations worse than my own. While attending a training course on constructing online courses earlier this week I was surprised to find out my instructor was Brent Monahan, a versatile and talented individual of whose presence at Rutgers I was unaware. 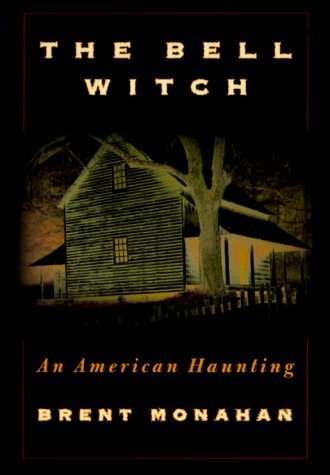 Most famously Dr. Monahan wrote the novel and screenplay for An American Haunting, a movie I had written a post on back in January. Compulsive in my desire to be on time, I generally show up to all appointments early. For this particular session I was the first person present, so, not recognizing my teacher, we struck up a conversation about my field of studies. (He asked; I try not to lead with my chin.) He was nonplussed about the fact that I am affiliated with the religious studies department—in general this is a conversation stopper since, along with politics, it is a forbidden topic in polite company. Before I realized who he was he suggested that perhaps people go into this field because of their internal struggle with good and evil. It was a perceptive statement and it made sense when it came out that he was a writer of horror films and novels. Since I’ve been exploring the nexus between religion and horror I have wondered what the deeper connection might be. Clearly fear of the unknown, the overly powerful, and the randomness of life in an uncaring universe play into it, but perhaps it is also the struggle of good and evil. Horror films often present the “what if” scenario: what if the side of evil were allowed free reign? Often the fount of that evil, in horror films, is religion gone awry. Certainly in An American Haunting a pious man is driven by inner demons to the abuse of his own child. That he is a religious man is made plain from the near-constant presence of a clergyman in his house once the haunting starts. While the exact relationship remains to be parsed, it is clear that fear and religion reside very near one another in our brains, perhaps as near as good resides to evil.